Well, you weren’t certain you wanted to click over, but you had to do it. 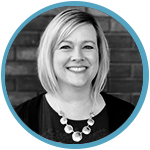 You were worried that you’d get here and I’d say something like, “The TRICK to converting inbound marketing leads is to TREAT your prospects with the right content at the right time.” Okay, I did just say it, but that’s not the only thing I have to say. Halloween is an extremely popular holiday in the US and it’s just around the corner. What does that have to do with inbound marketing? 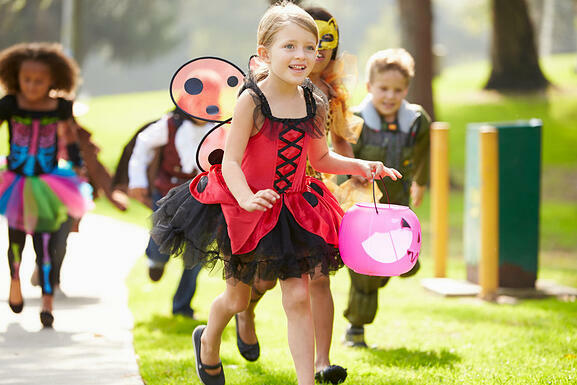 What if I could explain the difference between outbound and inbound marketing by using trick-or-treating as an example? Maybe candy can bring greater understanding. Let’s say that trick-or-treaters coming to your house and collecting candy from you are your conversions. The goal is to increase the number of trick-or-treat conversions year over year. And of course we’ve benchmarked the number of trick-or-treaters from past years so we’ll know how much increase we’re experiencing. Let’s find out how Mr. Outbound and Mr. Inbound get ready for Halloween. Mr. Outbound knows that he will get a certain number of trick-or-treaters just by following the standard Halloween rules - buy candy to hand out, leave a light on, and answer the door. He decides to get some full-size candy bars and puts the word out in order to increase the number of trick-or-treaters. He purchases a large number of full-size candy bars in anticipation, cleans up his yard, and buys a new costume for the occasion. Mr. O follows typical outbound marketing methods and puts up a sign in his yard a week before Halloween, telling people that he will have some full-size candy bars for those that mention his special offer. He also prints up hundreds of flyers with the same message and direct mails them to all addresses in his neighborhood and the surrounding areas. He knows how many flyers have gone out, but does not know if they are reaching homes with children or how many will actually result in trick-or-treaters. Mr. Inbound also knows all the standard rules that apply to Halloween but is looking for new ways to attract more trick-or-treaters. He also decides to offer some full-size candy bars and to put the word out that there will be full-size candy bars randomly mixed into the goodie giveaway. Before putting the word out though, he optimizes his house for all the trick-or-treaters who will be coming. He cleans up his yard, buys costumes, and recruits teen helpers to hand out candy as well as fully decorating the house and yard with lights and fun Halloween decorations - nothing too scary as he has researched his trick-or-treater personas and knows they are young and do not like to be scared when approaching the door. Mr I follows inbound marketing methods and starts by taking advantage of social media. He first posts in all his own Facebook groups as well as other social media channels about the full-size candy bars and where his house is located. He sets up a Facebook Page for his Halloween House and creates an event for the fun Halloween night, then advertises that event on Facebook, using a small budget to promote to a targeted audience of only parents with children 12 and under, living within 5 miles. He knows from comments and engagement on his own social media postings of many families planning on coming as well as seeing the reach on his ads and the number of people planning to attend the event, so he has some idea of how many trick-or-treaters may show up. In addition, Mr. I wrote a guest post about the event for a local, well-known blog, increasing his chances that the event may also be found by people organically searching for fun Halloween events in the area. Now let’s see what happens on Halloween! Lots of trick-or-treaters come to Mr. O’s house, but the ones who want to claim the offer of the full-size candy bar have showed up early and were more than he was expecting so he runs out of the full-size candy bars and resorts to giving double or triple candy, which then leads to him running out of candy early. Some people just saw a large crowd bottlenecked at the front door and simply skipped his house and moved on to the next. While Mr. O had a decent number of trick-or-treaters, many left disappointed that they didn’t get what they were promised and won’t be back, making it unlikely that he will increase by much next year. He did keep the flyers that were returned and realizes that they were not a large percentage of the total number he sent out. Many people threw the flyer away without ever looking at it and many more tossed it because it didn’t apply to them as they didn’t have young children. Mr. I was prepared for the large number of trick-or-treaters. Because he had promised random full-size candy bars, he was able to use less of them and still have plenty. Since he had an idea of how many children there might be, he set up costumed teen helpers on either side of the front door, just far enough away to give other conversion opportunities in case of too many people crowding the front door. Mr I and his helpers kept a tally of age ranges of children that came by to improve targeting next year as well as asking children what their favorite candy bars were in order to make the offer more attractive next time. Because Mr. I optimized the house and candy distribution so well, people had a pleasant experience getting their candy, even with the large crowds. People were so delighted in the experience that they went back and liked his Halloween House Facebook page and encouraged others to like it. They looked for social media announcements the next year and told all of their friends about it, resulting in a decent increase in trick-or-treaters the following Halloween. Or something like that. Names have been changed to protect the innocent, of course. Do you see how knowing your buyer personas, targeting your digital message, and optimizing your site and content can help you get the right information to the right people at the right time, resulting in more conversions and delighted customers who become promoters? 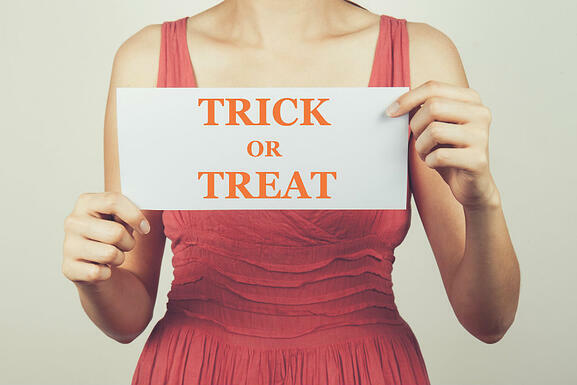 It’s inbound marketing and it just makes sense, whether you’re using it at Halloween to increase the number of trick-or-treaters or using it to increase the number of leads and conversions for your company.